If you have severe or mild acne or just the occasional spot, pimple or greasy skin, then you could really benefit from the Clear Derm spot pills﻿. It's a very simple, natural yet powerful and effective 30 day treatment, proven to help clear up acne leaving you with your most attractive, clear and luminous complexion. The treatment contains agents that fight harmful skin bacteria in the body which creams and cleansers cannot reach. It also slows down the production of sebum which causes greasy skin and blocks pores. Furthermore, the spot pills stabilise hormones eliminating excess hormone production which causes acne. Yes it really is! The spot pills provide the body with nutrients, vitamins and minerals that are good for your skin. You need to take one pill a day and within 1-3 months you will see a noticeable difference. Whilst treatments to the actual affected skin area can have a minor improvement effect, the problem is more than skin deep. These spot pills get to the root of the problem and helps to prevent further blemishes from coming to the surface of the skin. There are no other effects besides the specified skin treatment. This is a natural skin enhancing spot pill which contains vitamins and natural additives proven to improve skin health condition for an over all healthier complexion. 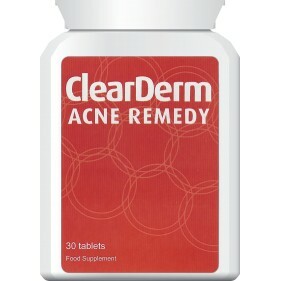 Clear Derm Acne Remedy Spot Pills work by targeting skin affecting bacteria in the blood stream. The tablets contain a recognised agent which attacks bacteria preventing blackheads and reducing the production of sebum, which blocks and inflames pores. The natural ingredients combat harmful skin bacteria and hormone production which affects acne. The spot pills have a detox effect on skin cells, nourishing them with vital ingredients and vitamins for healthy skin. Although beauty may be in the eyes of the beholder, isn't it important for us to feel beautiful? We all care about our physical appearance, and live in a society where so much is judged on appearance alone. This product is certainly for you if you feel you would like to improve your skins appearance and condition. You might be interested in feeling more attractive, being able to feel comfortable in your own skin, or are simply looking for treatment for a skin mallady. Either way, you can't go wrong with our tried and tested natural product, Clear Derm Spot Pills. 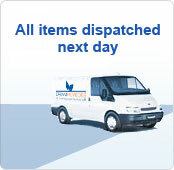 We have spent years developing our spot pills in research centres and leading laboratories. Under clinical tests our product is proven successful in all our trials. There are no other affects of this treatment and it contains only natural ingredients. No harsh chemicals, artificial products or additives. This product has been known to transform skin and is a highly regarded acne treatment tried and tested... A solution proven by all our customers, try it today!